Posted on May 23, 2012 May 23, 2012 by Debito Arudou Ph.D.
Hi Blog. Here we have the Wall Street Journal up to its old tricks: Representing the “Expat” community’s attitudes towards Japan, doing “Japan Real Time” research that is essentially navel-gazing about Japan from a skyscraper window (or a computer screen, as it were). There is no such residence card for Japanese nationals. Japanese citizens usually use drivers licences, health insurance cards or passports for ID if necessary. They most certainly are not issued with these or similar residency-based cards currently, I am aware of no plans to do so, and there is no compulsory carrying of ID required for Japanese citizens (except to enter an airport). The previous system required non-Japanese to carry a credit card-sized ID card at all times (subject to penalty if not carried) and will still do so. Japanese citizens do not have to carry ID and will still not be required to do so. Err… foreign tourists never had to carry Gaijin Cards in the first place (only people who had to register with residency visas of three months and up), so these changes have no connection and will have no effect. Does Ms. Berlow even have a residency visa in Japan so she might know about this from personal experience? If not, there are whole books on this, ones so easy even the busy-getting-rich-off-their-Expat-packages-and-enjoying-their-Expat-Bubble-Enclaves Expats can read them (cf. HANDBOOK FOR NEWCOMERS, MIGRANTS, AND IMMIGRANTS), so bone up. And there is no mention of the RIFD Gaijin Card Chipping for the new “Gaijin Residency Cards” only, something I’ve made a fuss about in the past. Ms. Berlow uses the word “track” in regards to NJ within the article, which is appropriate, for reasons she probably didn’t research enough to anticipate. RFID enables remote tracking of people’s credit card numbers, to begin with. And with technological advances, as I’ve argued before, it is only a matter of time and degree before it’s capable at long distances — if it’s not already. Don your tinfoil hats, but RFID technology is already being used in military drone guidance systems for long-distance precision targeting. You think the GOJ’s going to abdicate its wet-dream ability to keep physical track of potential foreign “illegal overstayers”, now that it has the ability to RFID chip every foreign resident from now on? Oh well, the “Expats” need not worry. They’re not in Japan forever. This summer marks the end of an era for foreigners residing in Japan. Starting July 9, the 60-year-old “certificate of alien registration” — the credit-card sized i.d. informally known as “the gaijin card” — will go the way of yakiimo carts, weekly Astroboy broadcasts, and uniformed men punching train tickets. New residents will instead be given a “residence card” similar to the ones Japanese citizens carry, except for a special marking designating the holder’s nationality. It’s part of a series of amendments to Japanese immigration law designed to create a simpler system for the government, and a way for foreigners to feel, well, slightly less alien. One main change: foreign residents and Japanese nationals can sign up with the government under the same resident registration system, rather than filing under separate categories, as currently required. That means foreigners generally can handle more of their bureaucratic needs only with their local municipal office, reducing the need to deal with immigration authorities. The new law is also designed to make life easier for Japanese with non-Japanese spouses. The entire family can be registered in one system, and the foreign spouse can be listed as the head of the family. Under current law, those families have to register under two different systems. Another significant change: longer stay periods on certain visas. Some specialized workers, like engineers, can stay for up to five years instead of the current three; students can stay for up to four years and three months, up from the current maximum of two years and three months. Re-entry permits are being extended to five years from the current three years. 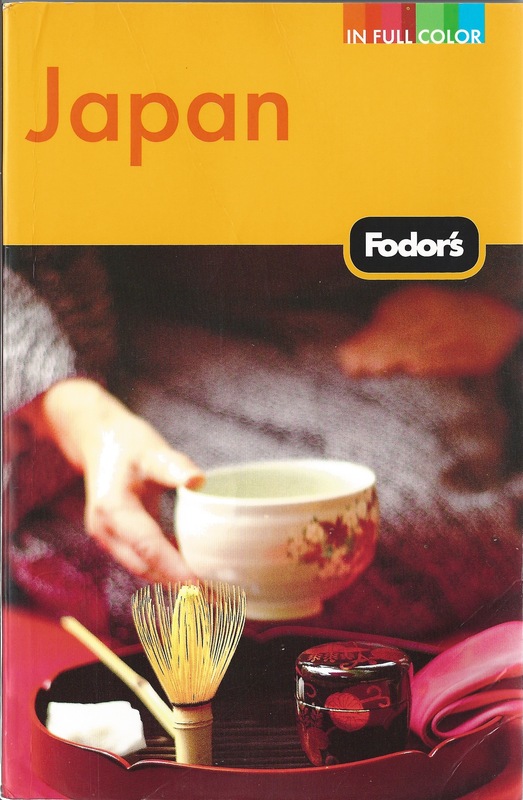 The “gaijin card” was first created in 1952, and for many years included the holder’s fingerprint — a requirement that drew complaints from foreign residents who felt they were being treated as criminals. That feature was dropped by 1999. The changes come as Japan faces a sharp drop in foreign residents, a trend prompted by the long recession, the reduction in financial jobs following the 2008 global financial crisis, and the rising cost of living due to the strong yen. Last year’s quake, tsunami, and nuclear accident didn’t do much to encourage foreigners to stay. At the end of 2011, the number of registered foreigners in Japan had dropped by about 56,000 from 2010 to 2,078,480, the third consecutive decline, according to Japan’s Ministry of Justice. 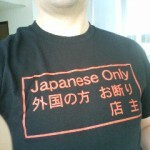 The number of foreigners who entered Japan 2011 was 7.1 million down 24.4% from 2010. These new changes come as the government attempts to increase this number, to an “era of 25 million foreign visitors to Japan” by 2020, a goal established in 2011. No, that second comment was simply meant for the people who raise this argument, that until the Japanese government catches every Japanese who is in arrears, then they themselves shouldn’t have to pay. It ignores the alternative, which is to enroll, and then face the Japanese collection efforts in whatever strength they may be. When people talk about discrimination as a reason for non-enrollment, it’s a little silly. It’s not that the people don’t want to enroll, it’s that they don’t want to pay. But they set up the debate in such a way that they get to skip over what the Japanese themselves all have to do: enroll. In fact, I think the enrollment is based off the fact that they are on the residence registers. Now that NJ will be too, there you go. A couple of people sent comments to my own webpage about their not being contacted by NHI yet. That’s not my point. The fact that they are naked when it comes to Japanese health insurance is a point that is going to be more apparent now, to certain ward or prefecture officials, than it was before. It will not be like it was before, because now different players have the pressure on them when your columns register zeros. Everyone discounts the possibility that there will just be a mass registration of every foreigner who isn’t on the books. And that just seems that you’re ironically equal to your analogy of a Japanese giving such advice online. And it seems HIGHLY ironic that a few days ago you said people giving such advice online should face penalties. “Merely signing-up” for kokuho+kokunen results in immigration seeing “enrolled” on the kari-juuminhyou. “Merely signing-up” results in visa-renewal, since immigration does not require a document proving payment. “Merely signing-up” fools immigration’s visa-renewal enforcement system, which we have been discussing here. On the kari-juuminhyou, people not enrolled in anything will appear like people enrolled in shakai-hoken: all blank. On the kari-juuminhyou, people who “are enrolled in kokuho but not in kokunen” will be clearly shown as illegal. On the kari-juuminhyou, people who “are enrolled in kokunen but not in kokuho” will be clearly shown as illegal. So, for now, until immigration writes a new “guideline”, those not enrolled in anything at all won’t be noticed. Ironically, people who are enrolled halfway (i.e. JUST kokuho, or JUST kokunen) will probably be strong-armed. If/when immigration strong-arms you by saying “Enroll 100% before we consider your application” then just enroll. What we have been forgetting, until Hoofin kindly pointed it out, is that enrollment can be done without payment. You can simply go sign-up for kokuho+kokunen and make a “payment-plan-PROMISE” about the 2-years-back-payments. Of course, if immigration ever starts requiring proof of PAYMENT: then of course we will have to pay, with interest. So, obviously, to minimize the total amount owed, one should NOT sign-up until immigration strong-arms you. Enrolling earlier than needed means paying more than needed. Why enroll 3 years early? Logically, one should wait. Japan isn’t giving out any rewards or kudos to gaijin who enroll early, no rewards or kudos for payment either. Hoofin, you diligently enrolled and paid kokuho+kokunen, then IBM Japan’s illegal-termination forced you home, right? Well, if you were to telephone the kokuho section and the kokunen section today, I think you would be very surprised. I would like to be wrong about this. Can you Hoofin, or another “moved out of Japan” person, confirm or disprove this fear? You are right that IBM Japan’s illegal termination (by not honoring the Cognos March 7, 2008 contract) forced me back to America. However, when I left Japan, my status of residence in Japan also disappeared. Japan could only bill me up to December 20, 2010. Clearly, by the US-Japan totalization agreement, I could not be subject to both national pension in Japan and U.S. social security at the same time. I pay social security here. I just want to re-emphasize that I believe people should enroll AND pay. But the “pay” part is the one that is mostly the controversy with people who don’t do both. IF they don’t pay, they should at least ENROLL. This way, if they are in a situation where the employer is denying them Shakai, it won’t be because they haven’t done their thing. I presented my Blue Book to my major employers in Japan; where they enrolled people in general, I was also enrolled. Obviously, I also paid. So you feel confident that the kokuho section stopped the clock on the day you departed Japan. And you feel confident that the kokunen section stopped the clock on the day you departed Japan. And clearly, you feel confident that the US-Japan totalization agreement makes them stop the clock. The assumption you are making is: that upon your departure both sections received orders to stop the clock. The assumption is: there is a process in place, delivering information from immigration to those two sections. Well guess what, I just called the kokuho section right now, and they explained the situation is just as I feared. The kokuho section and the koknen section have ABSOLUTELY NO WAY of knowing that you have returned to America. Both sections have been KEEPING THE CLOCK RUNNING since you left on December 20, 2010, with compound interest. So, my hypothesis was correct, you have 2 big growing unpaid bills waiting for you back here in Japan Hoofin. But don’t worry, I also asked how you can clear it up: you simply must send them a copy of your passport’s departure stamp. So anyone who has turned in your ARC at the airport, if you were in Kokuho, if you were in Kokunen, you are STILL enrolled! To actually un-enroll yourself from Kokuho + Kokunen, you have to send them a copy of your passport’s departure stamp. Now get ready for this folks, I just now called the Shimin-ka, the section that will handle our juuminhyous from July. If the Shimin-ka manager I just now spoke with is telling the truth, we have 3 surprising things to be happy about. #1 That “check for mistakes” version was titled “kari-juuminhyou”, but from July there will be no “kari” appellation. We will be receiving REAL juuminyous, from the REAL shimin-ka section, just like “REAL” Japanese receive. but the real juuminhyous which we can have printed from July will NOT have the info printed. Thank goodness! That enrollment info printed on the “kari-juuminhyou” was a one-time occurrence, it won’t appear on our real juuminhyous. #3 That kokuho enrollment and kokunen enrollment info does NOT EVEN EXIST in the Shimin-ka database, amazingly. So how did the Shimin-ka manage to print those “kari-juuminhyous” which contained that information? The Shimin-ka manager says they did a one-time print which merged fields from the 3 separate databases. The Shimin-ka manager says only the people who received the “kari-juuminhyous” can see all that info together. The Shimin-ka manager says that his Shimin-ka section has NO way of seeing who is enrolled, neither Js nor NJs. The Shimin-ka has NOT been deputized to know who is enrolled (J nor NJ) thus can NOT print that on Juuminhyous (J nor NJ). PS – Hoofin, I applaud your good advice about “at least enrolling”, I understand you hope we’ll PAY too. And yes, placing “the blue book” on your company’s Jinji-bu manager’s desk will motivate him to enroll you in shakai-hoken. So yes, your advice in general is very good Hoofin, please forgive the fact I found one little thing to rib you about. The reason is: people who don’t pay pension will simply not receive pension when they get old, so no victim. Governments illegally dip into pension funds, and then force the next generation to bailout that illegal dipping. The governments’ illegal dipping is the real reason why grandmas’ and grandpas’ pension money has disappeared. Grandmas’ and grandpas’ money was supposed to have been diligently guarded, invested, and increased. Instead, each successive generation is forced to bailout the government who SPENT grandmas’ and grandpas’ money. Hoofin, why cant we just use our own non Japanese insurance schemes? As we are leaving soon, and Japan does not want us to stay anyway! Why am I forced to “act Japanese” in terms of healthcare while I am here, and yet be excluded and othered in other areas? Maybe I just want to remain in my visiting western expat bubble as a result of previous slights,exclusions and othering (with no disrespect to pioneering settlers like Debito). I am here for the job, not the Japan experience. It has been discussed before but lets say I want to go to an English speaking clinic and see a British doctor due to “cultural differences” or preferences, or to discuss British health matters and systems on the NHS which a Japanese doctor would not know of, like the British Clinic in Shibuya, which does not accept Japanese insurance. If you call me a gaijin and a flyjin, I want that gaijin medical care. However, I also called the city office and asked about Kokumin Kenko Hoken and they told me if I file a TENSHUTSU TODOKE (a ‘leaving the country notice’) then they will stop the requirements to pay for health insurance. I will be able to keep my PR status as long as I come back to renew my re-entry permit periodically. When I come back at some later date to take up residence again, I will not be hit with a running total, tallied from the day I left. My wife was informed by the pension desk that she can put a hold on her pension payments while she is away. In fact, she did that once already while we were out of Japan for a few years. No, no. Regardless of whether the local office has updated its records, the clock stops when you no longer have status of residence. Additionally, the totalization agreement governs for citizens of the respective totalizing countries. The Japan Pension Service knows that I am not in Japan anymore; so, really, I don’t worry about it. The local health insurance desk may still be billing, if they didn’t get my letter, but that’s not my problem. Without status of residence, I can’t be liable for the bill. Someone later in the thread mentions about PR. I was not PR. PR obviously means permanent resident. That means you’re a resident, even when you’re not physically there. That has its own set of issues about the national pension and health insurance. For people who are totally shirking the pension, you think it’s better to dodge as long as they can, because supposedly, there’s only the “mere promise to pay the 2 back-years”. That rule isn’t in stone. In some cases, it’s a matter of getting billed all the way back to the start of status of residence. The fact still remains that the sooner one obtains the Blue Book, the more likely it is that an employer can be held for the “mistake”, rather than the individual. If the ward office comes to you later, you can always say, “my employer should have done this!” and give the employer’s name. You seem to be really hung up about paying cash versus accruing a liability. If someone felt they were going to owe the IRS, the advice any good CPA would give would still be: file. You acknowledge the liability, and you work it out with the IRS. 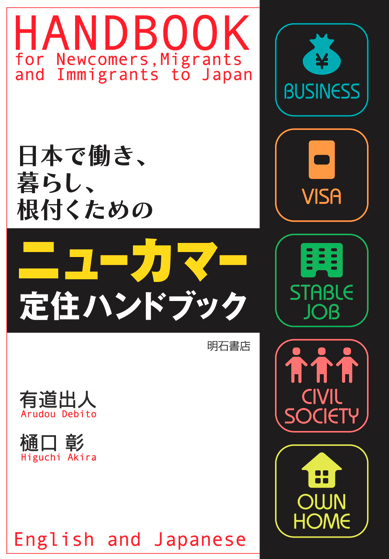 Similarly, with the Japan social insurances, people should at least enroll. Finally, you seem to think that dodging a national pension program means that no one gets hurt. Far from it. What usually happens is that that individual has to fall back on other government programs (like SSI here in America). They also caused wages to be bid down, because they underbid the people who were playing by the rules (both employers and employees). I’m sorry that you feel that making insinuations, and comments that I am saying something other than what I am, is the way to discuss the very real issues surrounding the fact that the Japanese are lax about making their various pension programs available to non-Japanese. I will be happy to follow up with you off-board if you think I am wrong about that. This is an old one. The British Clinic cannot offer or assure you the full range of services that the Japanese health system can. The people who run with the gap insurance know that there is an implicit backstop of their major medical liabilities with the Japanese health care system. In fact, the gap policies all insinuate that they won’t be on the hook for any major medical charges, and they all know to “advise” you to go run down to your ward office and enroll if it looks like you are going to be a big liability to them. In some cases, even, it’s been reported that the gap insurer will pay the arrearage, just to get you to onto someone else’s books. You can create all sorts of elegant stories for why the dodge should be permitted; but, in the end, it’s still a dodge. I’m self-employed. I don’t have the big wings of a mother corporation to protect me from the rain. I have months of the year in which I my income puts me well below the poverty line. I don’t get any subsidies, and I have no ties to the bureaucracy like so many companies established in the industry. Your self-righteous logic eludes me. You imply that dodging the pension is bad, and yet you would put the burden of back-payments on your employer? As a former employer, I find that reprehensible. Hoofin, maybe I just do not trust Japanese doctors and hospitals and their “full” range of services? They never tell you directly if something is seriously wrong, maybe that is cultural. Also they removed a cancerous tumor which left a major scar as their modus operandi was old school; if I had had the operation in certain other countries there would have been far less of a scar. Japan is the country that did not allow birth control pills until comparatively recently. Still now, many drugs are not available “because they are too strong for Japanese bodies”. Well, maybe because some drugs I have been prescribed have been too weak to be effective. So I rest my case: I do not trust Japanese doctors. Hey, its not “racist”, it is just “personal choice’! (Oh the irony). So kokumin Kenco Hoken is useless for me. Hoofin, your advice to Debito readers, in comment 57 above, is not so good. So you sent some section a letter saying “I’m leaving soon”, or saying “I left recently”, but you didn’t call like I did, you didn’t realize that they need PROOF of departure, you didn’t realize that they need a COPY of the page in passport showing the DEPARTURE STAMP. I’ve explained to you that there is currently an ever-growing bill on their books in your name, you say “Not my problem.” You’re not going to officially stop the clock and officially clear that debt? What happened to your main thrust about “not doing things which make us gaikokujin look bad” and “being on the right side of the divide”? Right now, officially, on the books, until you send them the proof they need, you are “another delinquent gaikokujin who owes 18 months of unpaid health insurance plus compound interest.” Please Hoofin, send them the proof they need to stop the health clock and clear that debt which is a statistical embarrassment to gaikokujin. The reason I am saying all this Hoofin, is because people take your advice, so you need to be giving correct advice, and because you are so harsh on people who don’t enroll, so you should be equally harsh on yourself for being, on the books, SOMEONE WHO ISN’T PAYING THEIR BILLS. I will be happy to follow up with you off-board if you think I am wrong about that. Pingback:Question from Debito’s thread: does an American leaving Japan have to notify ward office to shut off pension and health care coverage? | Hoofin to You!